We regret to inform you that, due to a recent fire in our building, Hong Kong Lounge II has extensive damage and will be closed indefinitely. 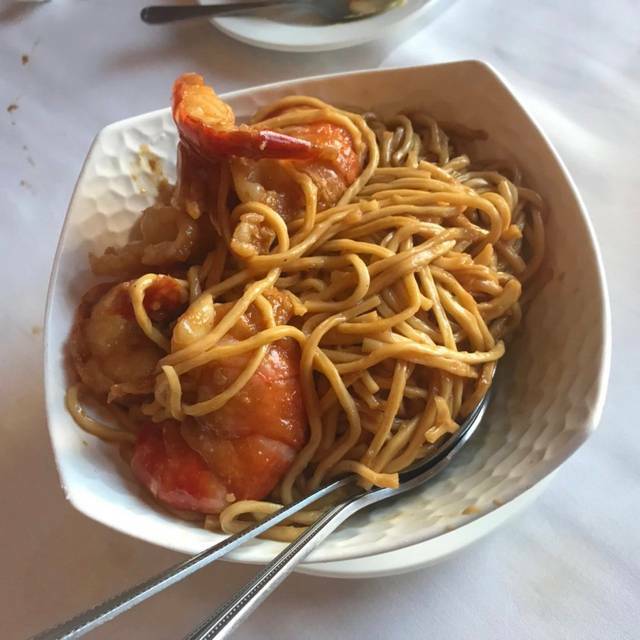 Located in Laurel Heights/Inner Richmond, Hong Kong Lounge II is the sister restaurant to the ever popular Hong Kong Lounge. 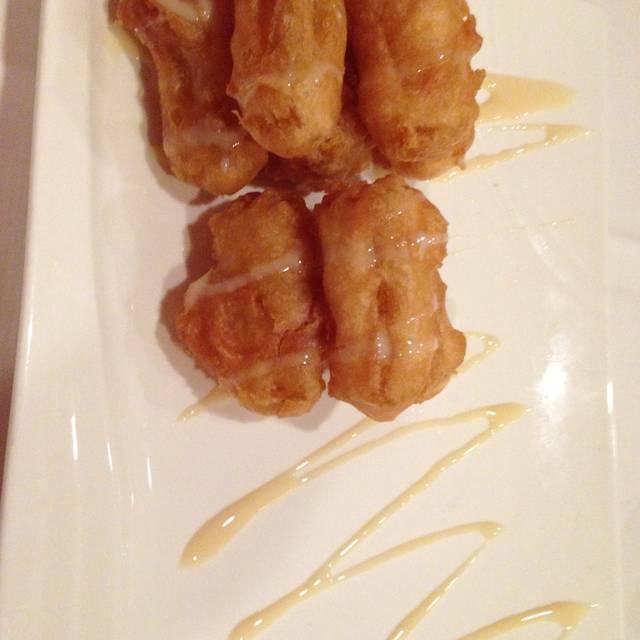 Come join us for dim sum during lunch and traditional Chinese dinners! Our private room seats up to 30 guest. Our main dining room seats up to 100 guest. Please inquire with management. Please make inquiry with Hong Kong Lounge management. Metered Parking is available on Geary Boulevard. There are 2 hour parking available on Parker Avenue, Spruce Avenue and Commonwealth Avenue. Bus Transit #38 stops one block from the restaurant. Start to finish amazing!! The Watier was very helpful when placing our order. The food was delicious and very authentic. Very good dim sum lunch for 9 people. Good service, good value. Great restaurant, with great food. The food always comes hot & tasty. Never too salty. The crab taste fresh! The service is always excellent. They always take away the dirty dishes & give you a fresh plate if our plates are dirty. Love the food and the service but this is the device time that we asked to be served the soup first and it came mid-meal. Perfect place for small or large groups wanting to gather for great fresh food. Service always attentive. Nice touch having plates changed out between messy dishes. Kid friendly. “Consistency” is the operative word here. Lovely food and great service! Bill adds up quick however we really enjoyed our meal! 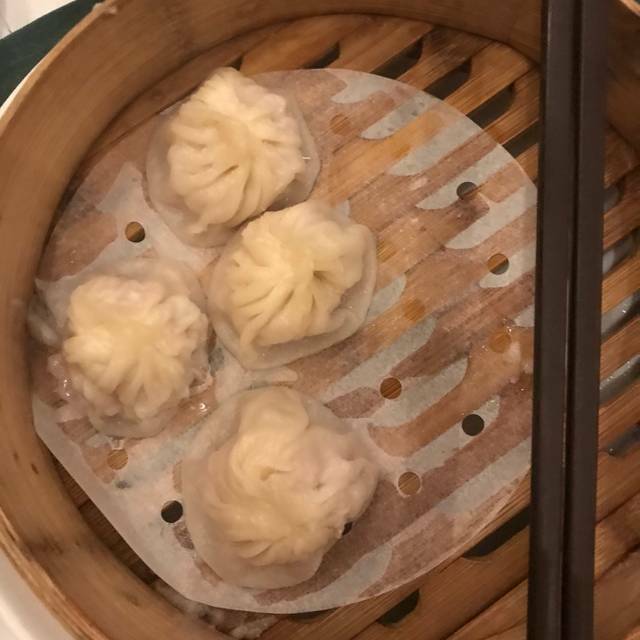 Dumplings were fantastic! I was pretty disappointed as the reviews were so good. It could have been poor ordering on our part, but I found pretty much everything to be quite bland. Dinner here is highly underrated. 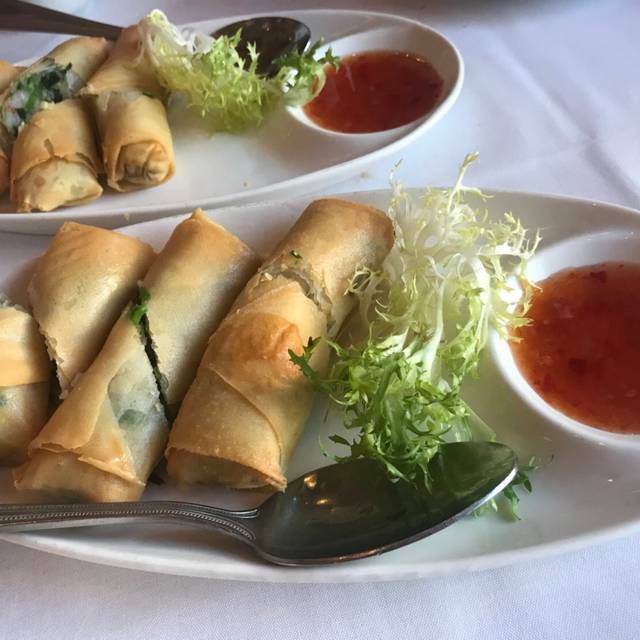 Even casual Cantonese classics are given the kind of care usually reserved for more elaborate dishes. Quality of food and level of service are consistently well executed here. 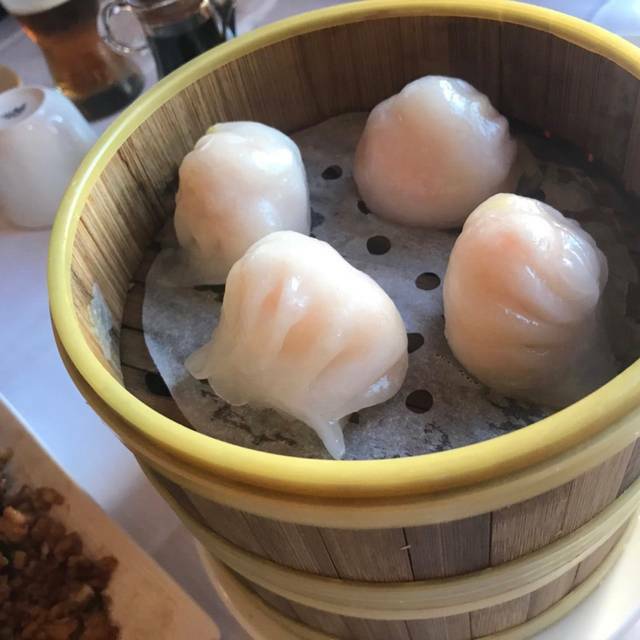 From basic dim sum staples to more exotic dishes, the taste is better than most places in the city and Bay Area. A bit more pricey by if you can splurge it la worth it. The service is very attentive and quick without feeling rushed. Try to gather a party of six so you can skip the wait and make a reservation ahead of time-but if you have to wait-it’s worth it. Outstanding! Best dim sum and service! Thank you Annie, Victor, Ken and Stanley!! Excellent. Kenny and Stanley are the best. Simce we had a party of six we were seated in their annex room, which only had four tables. The smaller room made the event much more enjoyable since the noise level was low enough to be able to speak in a comfortable conversational volume. This complimented the delicious food well. 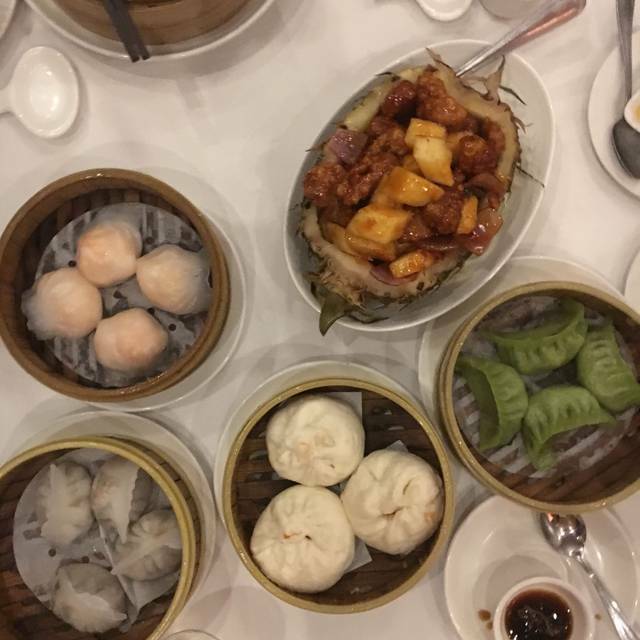 We enjoyed trying a combination of traditional Dim Sum dishes and dishes we had not tried before. We loved each of our choices. We definitely would return for another group Dim Sum event. In general, Social Media is something I avoid. With Hong Kong Lounge II, I’m happy to make an exception. The food was excellent. The restaurant was friendly, not ostentatious, or snobby like many Dim Sum places can be. The private dining room was a short walk around the corner from the main restaurant. Charming. Although service was a bit slow at the start, the waitresses managing the room were attentive and helpful. The coffee basted pork ribs were rich and gooey. The Xiao Long Bao were the only average tasting item on the menu. Almost blah. But, it might have been due to the fact they were not piping hot. Every other item was steamed or prepared perfectly. The menu impressed the native San Franciscans in the group. For out of town guests, it was a delightful, organic place. If only every city had a neighborhood restaurant like this. Parking is a challenge. But a challenge worth risking when the reward is this wonderful. Delicious food, great for large groups so you can try a variety of dishes. Quick, attentive service on a Monday night dinner. We had many of the dishes of the “Asian tapas” i.e., dim sum. Unlike some restaurants, you don’t choose from a cart but order from a menu. Although it takes a bit away from the surprise factor of not knowing what delicacy will arrive on the next cart, ordering from the menu is definitely more efficient and you get exactly what you want without having to wait for your favorite dish cart to come around. And the food was delicious! 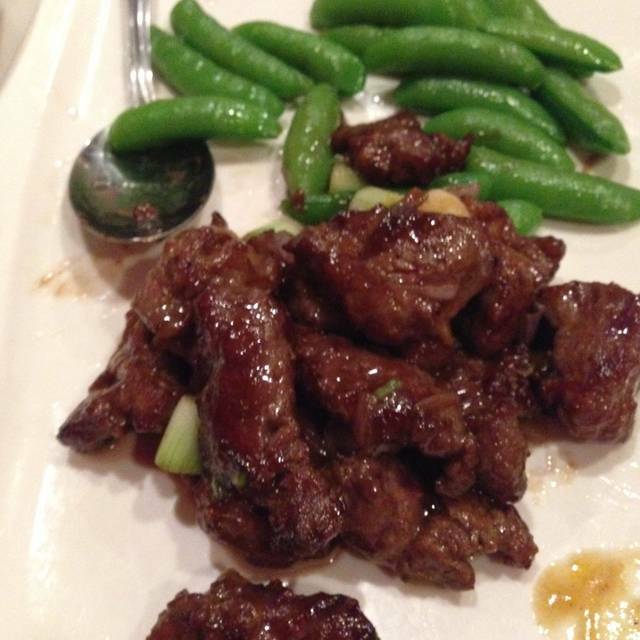 The 5 of us ordered about 10 dim sum plates, a vegetable, Mongolian beef, and rice and had food to take home. Best Chinese restaurant in San Francisco. Modern Hong Kong style food. Highly recommended. My niece arrived from France. I thought she would enjoy Hong Kong 2 as much as her visiting French parents did 2 months ago. Oui!!! She loved it. The best is when the English speaking waiter explained what each dish was. Terrific! Otherwise we would have been lost. It was a bit noisy and the lights too bright, but on the whole it was a wonderful experience. Thanks so much. Innovative Chinese food in a nice neighborhood location. You should have reservations, even on a weeknight as people start lining up before it opens for dinner at 5:30. 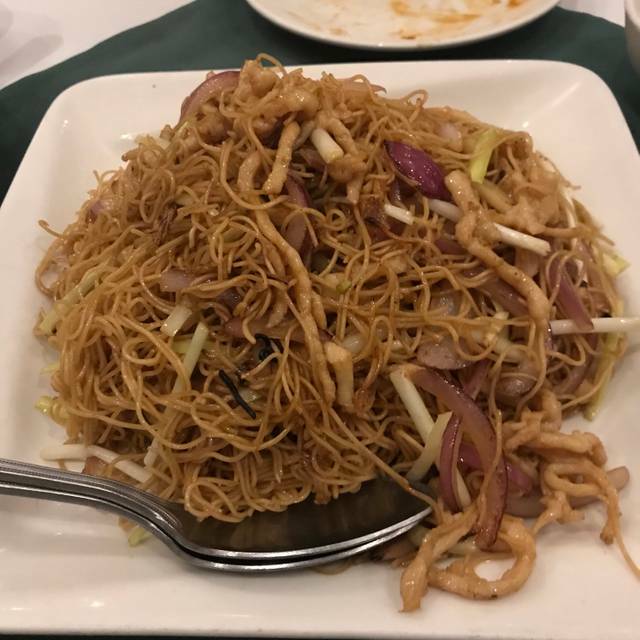 It's always popular and the meals there are quite a cut above the regular Chinese food. They have things like Shanghai dumplings, which normally require a trip downtown. Two kinds of duck, Peking and Roasted with Plum Sauce - and they don't need to be ordered in advance - delicious. Pretty extensive menu and nice wine list and they even have sake. Everything was fresh and tasty. Good for a group of 4. Definitely worth making reservations for. Always a pleasant experience and food always delights. The set menu is tasty. Food is excellent, service very attentive, friendly and helpful. Love this place!!! Food was decent, except for the broiled tripe that very weird with extreme soft texture. Restaurant was super noisy, minimal service as we have to ask for hot water refills every single time. Excellent food with an interesting and varied menu. Fantastic serving staff; very thoughtful and attentive, no matter how busy the place is. Love their dim sum brunch! 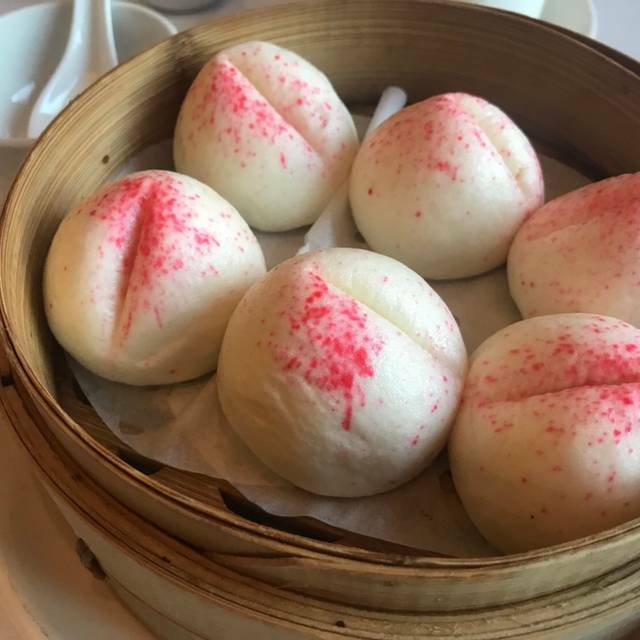 The pork buns are especially delicious! I think I will need to abandon this place after many years of being a loyal customer. It’s always been priced higher than other Hong Kong style seafood/dimsum places— but I justified it for their better than average quality of food. No more— the price vs reward balance has decidedly tipped. Dinner here for a party of 5 was an exorbitant $270 with tip. Main dishes easily top $30-40 and portions are tiny compared to others. I can only conclude that they have decided to gouge their customers for as much as they possibly can and the market will bear— which in SF is unfortunately a lot. Every time I eat there, it's been excellent. They us quality meats & its tender. So far all the different dishes & house soups have been excellent. Service is always very good & the waiter is as very patient & informative. Choy with a huge mound of pork. The wouldnot exchange the pork for a different dish. Be careful what you order and ask exactly what you get on the dish. We booked a large table to celebrate my Mother's birthday recently. We've always enjoyed their dim sum lunch and delicious dinners. I've hosted Chinese New Year's banquets here as well for friends last year. The food is well prepared, with local fresh ingredients. We selected the banquet menu $485 for the celebration, just the right amount of food, everyone left satisfied and it was surprisingly paced well, the kitchen has a tendency to be too rushed with each course. The Peking duck as always is the standout dish, crispy skin, puffy soft buns and I love the thinly sliced cucumber and pickled ginger as additional condiments to accompany this dish. Excellent as always! Friendly, great service, delicious! Wonderful food and service, as always. We appreciate the help navigating the menu with our multiple food allergies. HK lounge II is very different from the restaurants in ChinaTown in San Francisco. The restaurant is easy to find. Unlike other restaurants, HK lounge II is cozy and quiet, with space in between tables. The service was professional. We ordered crispy chicken, shrimp dumplings and other dishes. They were delicious. We wish they had a better selection of wine by the glass. Took our son and his friend at USF to this nearby restaurant. We wanted a nicer venue as a treat for them. The service was great as our servers were attentive to our needs. The food was well presented, tasty and of quality. Little pricy but was worthwhile due to its location to USF and the noted positive dining experience of your guests.